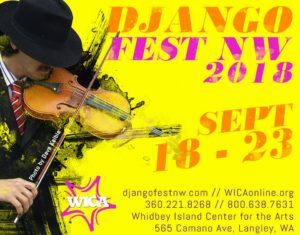 This September will mark the 18th annual DjangoFest Northwest. We’ve watched it grow from humble origins into five days of concerts and workshops, featuring dozens of world-class artists and thousands of attendees, making it the largest festival of Gypsy Jazz in North America! This coming DFNW promises to once again bring together the world’s best and brightest musicians, a constellation of stars featuring both old friends and new. 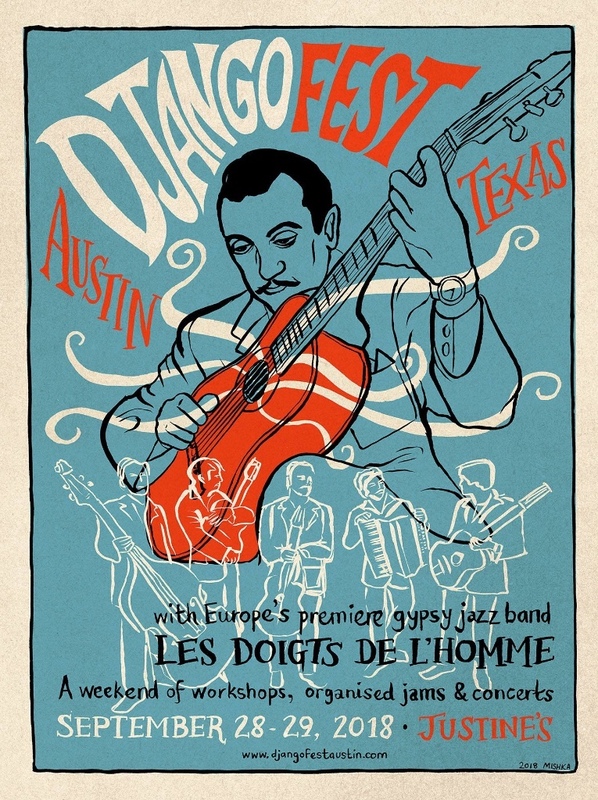 We are saddened to share with you that festival Artistic Director Nick Lehr has joined Django Reinhardt to djam with the angels. He will be sorely missed by all of us who loved him. Posted by Michael Horowitz on September 11, 2018 at 1:26 pm in News.1 Comment. Posted by Michael Horowitz on August 30, 2018 at 9:45 am in News.4 Comments. Posted by Michael Horowitz on August 21, 2018 at 2:19 pm in News.Comment on this post. Posted by Michael Horowitz on April 24, 2018 at 11:54 am in News.Comment on this post. Posted by Michael Horowitz on December 8, 2017 at 4:35 pm in News.Comment on this post.